Tuesday commemorates the 30th anniversary of the crash of Iran Air Flight 655, downed by the US guided missile cruiser Vincennes over the Persian Gulf. All 290 people on board, including 66 children, were killed in what is believed to be one of the worst disasters in the history of aviation. Iran's Airbus A300 was downed by the USS Vincennes over the Gulf on July 3, 1988, when the passenger jet was en route from Tehran to Dubai within the international air corridor at an altitude of 14,000 feet (4,300 meters). After receiving no response to its multiple radio challenges and assuming the Airbus A300 was an Iranian F-14 Tomcat, the Vincennes fired two SM-2MR surface-to-air missiles, one of which actually broke the airliner in two. The plane began to disintegrate immediately and crashed into the water, killing all 290 people on board. While citing Iran Air Flight 655 ignoring repeated demands to change course, Vincennes sailors preferred to keep mum on the fact that they tried to contact the Iranian plane's crew using a military radio frequency. Commenting on the matter in an interview with Sputnik, Russian military expert Yuri Lyamin recalled that at the time, Iran and the United States were on the brink of war and that "the situation in the region was very tense, with US Navy ships being on constant alert." He also reminded that "during the last months of the Iran-Iraq conflict, United States repeatedly attacked Iran's ships, destroying several motor boats and damaging a military frigate". "They [US] deliberately took that step. They wanted to demonstrate to Iran that they would shoot down any, even civilian planes, if they consider them a threat to their ships. This was another element of the use of force tactics," Lyamin underlined. He added that after the Iran Air Flight 655 crash, many were concerned about a possible military confrontation between Tehran and Washington, something that Lyamin said finally prompted Iran to stop its war with Iraq. "Teheran could not fight on two fronts, it would be a [political] suicide," he pointed out. 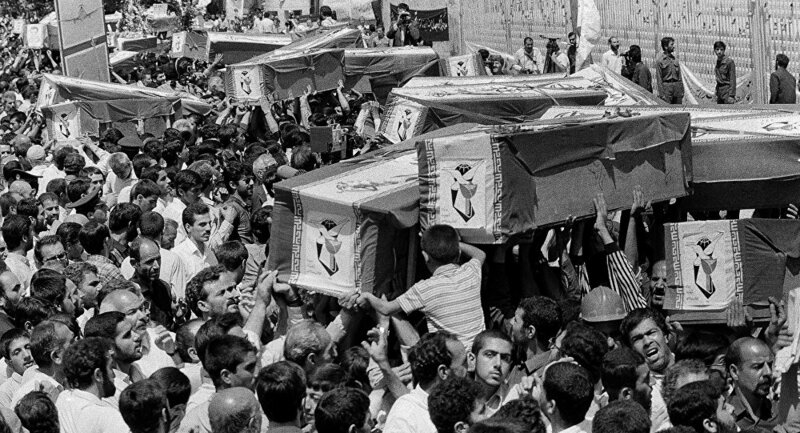 The Iran Air Flight 655 crash is considered to be one of the bloodiest episodes of the eight-year Iran-Iraq conflict which killed hundreds of thousands of people on both sides. The Vincennes missile cruiser was part of a US naval task force to protect trade caravans and oil tankers from the Iranian Navy. In a show of support for Iraq, the US deployed its warships to the Persian Gulf region in mid-1988. 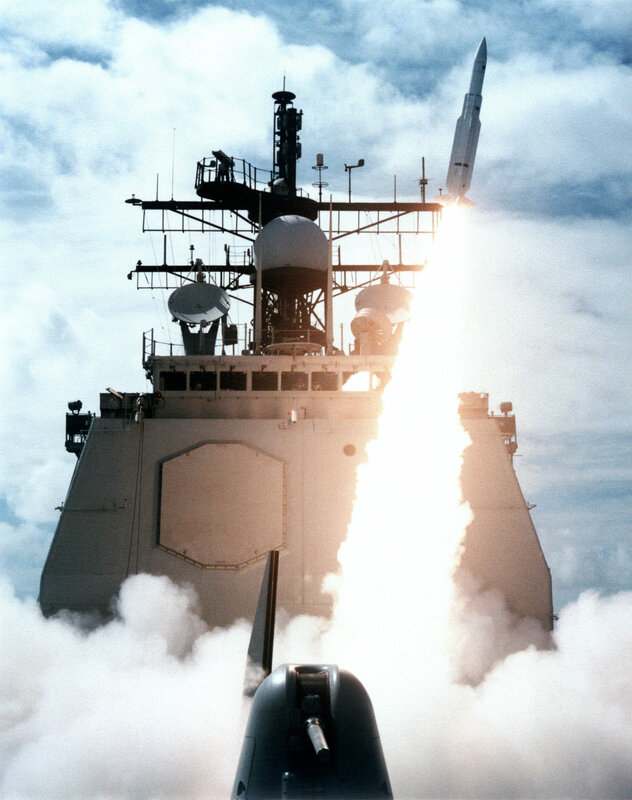 Entering service in 1985, the Vincennes was equipped with the Tomahawk cruise missiles, powerful artillery, torpedo armament and anti-aircraft guided missiles SM-2MR and the Aegis combat system. Speaking to Sputnik, another Russian military expert, Mikhail Khodaryonok admitted that "mistakes are inevitable, especially in the areas where military operations are conducted." "However, taking a passenger ship for a combat aircraft is, of course, only on Americans' conscience," he underscored. According to Khodaryonok, the main thing is to clarify on why the decision was taken to down the Iranian plane. "As a rule, an operator receives radar information when he sees the primary situation. Using a two-coordinate radar, a skilled operator can immediately identify the type of an air vehicle, as well its height and speed, which will help him realize, for example, that the vehicle is a passenger jet rather than a warplane," Khodaryonok said. In this vein, he added that "the American command of all levels can be blamed for lack of professionalism and failure to use every opportunity to determine the type of an aircraft." Khodaryonok explained that in peacetime, efforts are made to avoid shooting at those planes which do not respond to messages when flying over areas with active traffic of civilian ships. "First, a fighter jet is scrambled for visual contact with such a plane. The fighter's pilots contact the plane's crew with the help of international frequencies and try to find out about intentions. None of this was done [during the July 3,1988 incident] although the Americans had all necessary means," he noted. Washington has never admitted any violations by the crew of the Vincennes missile cruiser and none of the sailors was held responsible for downing a passenger plane. Moreover, the crew members were awarded for correct and precise fulfillment of a combat mission. Expressing condolences in connection with the disaster on July 4, 1988, then-US President Ronald Reagan called the killing of almost 300 people "an understandable accident". In 1996, the US agreed to pay 62 million dollars in reimbursement to the families of the victims as part of an agreement with Iran to withdraw its lawsuit against the White House from the International Court of Justice. The views and opinions expressed in this article are those of the experts and do not necessarily reflect those of Sputnik.